New year in Iran starts with Nowruz, meaning “New Day”, traditionally the exact astronomical beginning of Spring that Iranians take as the beginning of the year. With the onset of spring, amid domestic economic hardship and the empathetic diasporia, Iranian citizens celebrate with the hope of the future for the good year to come, the year of the end of mullahs. Iranians globally will attend Nowruz celebrations and the traditional Iranian festival of spring. 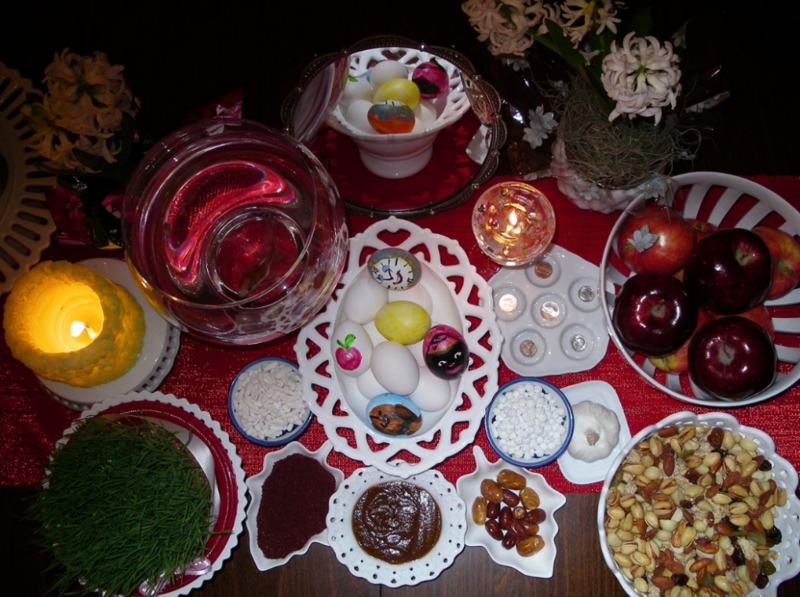 A traditional Persian New Year’s dinner includes the creation of the “Haft-Seen,” The table is set with flowers, a bowl of goldfish, a mirror, candles, painted eggs, the Holy Quran, and seven foods that start with the letter “S” or the word “seen,” in the Persian alphabet. The seven traditional foods at the ceremonial table are: Sabzeh: wheat sprouts growing in a dish symbolizing renewal and growth, Samanu: sweet pudding made from wheat symbolizing prosperity, Senjed: dried fruit of the lotus tree symbolizing love, Sir: garlic symbolizing health, Sib: apples symbolizing goodness, Somaq: sumac berries symbolizing sunrise, Serkeh: vinegar symbolizing tolerance. The traditional spring bulb flowers at the table are of Iranian, and regional origin. Yet, the people face a deteriorating economy, corruption and mismanagement in the new year, the people are sinking further and further into poverty. The prices for some typical Nowruz foods have increased dramatically compared to this time last year. For example, in 2018, the dollar was 3,500 tomans. This year, it is at 13,000 tomans. Sugar, last year, was priced at 2,800 tomans per kilo. This year, it is a staggering 8,000 to 10,000 tomans per kilo. Last year, tea was priced at between 30,000 to 40,000 tomans per kilo. This year it has gone up to between 140,000 and 160,000 tomans. 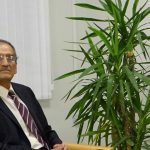 With this economic situation the people do not think about the seven traditional foods table, yet in its place, the regime replaced the seven “S” with the following: Sandstorm weather, Sophisticated missiles launch, State-sponsored terrorism, Shortage and poverty, Severely exposed to contaminated water, Sleeping in graveyards, Spending billions of dollars in Syria, Yemen and Iraq. The people welcome Nowruz by house-cleaning, carpet-washing, painting walls, home repairing; this year, many people hope that that the whole country will wipe out the regime for a complete cleaning. On the last Wednesday of the old year, the night of “Chahar Shanbe Suri” is celebrated in order to symbolically getting rid of all the misfortunes and bad luck of the past year. 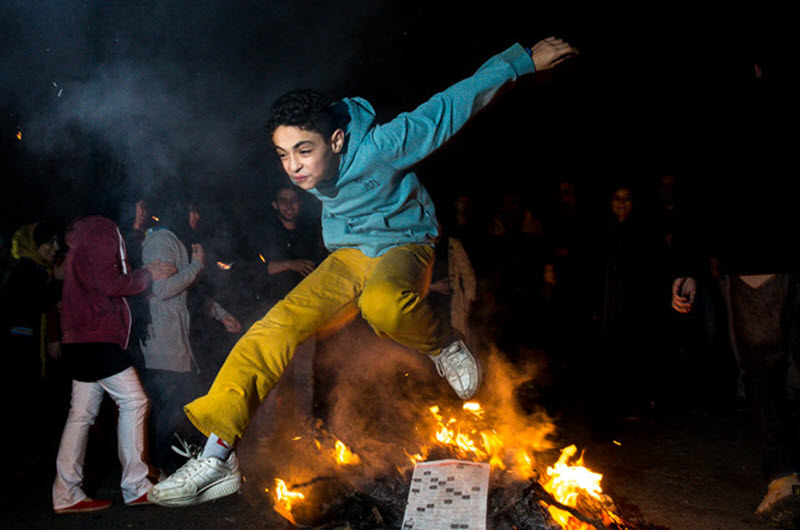 People light small bonfires and jump over the flames; the sound of exploding grenades and firecrackers are heard constantly in many cities, following the explosion of firecrackers by angry young Iranians on Tuesday, Mar.19, 2019.